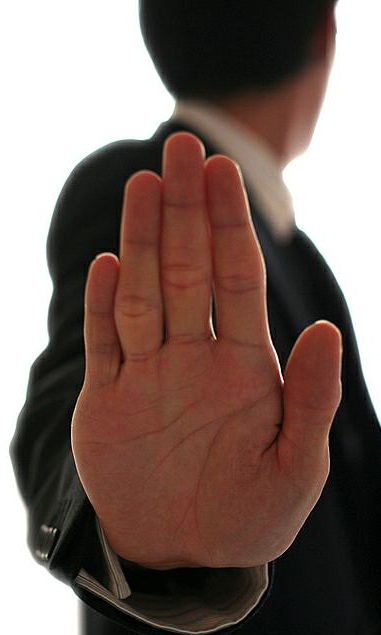 What are the most common sales objections? This question appeared on the Focus thread (which I usually find pretty interesting). A bunch of pretty smart sales folks quickly filled up a long list of objections we’d all recognize. Too many salespeople fail to understand that much of their conversation and behavior screams of self-interest, “I want you to decide to do something that’s definitely good for me, but there’s no way for you to know how good it may be for you — or not.” The idea of driving forward in relentless pursuit of a “yes” suggests a lack of intellectual integrity. What? You can’t even imagine that it might not be a good idea for me to buy from you? It is one of the two polar possibilities, i.e., great idea, or terrible idea. Think how much more cooperative your buyer might be if you were genuinely trying to help them make a good decision, in this instance figuring out how good an idea it is to do business with you, and open to the possibility that it might not be. They’d certainly expend less energy keeping you at bay while they figured out how safe it is to let you get close enough to potentially be useful. Buyers don’t doubt your knowledge or wisdom; they fear your singular pursuit of "yes," which says that you’re looking out for you, not them. That’s OK; it’s your right, but you can’t expect them to facilitate it. To get hired, behave as if you’ve already been hired, i.e., focus all your energies on helping your prospect make a good decision, without regard to your self-interest. RainmakerVT subscribers: Go to Category 3: Getting Chosen > Course 1: Decision Process > Chapter 4: The Cost of Doing Nothing for a simulation that will not only teach you this process, but give you virtual experience using it.